The packaging world is a perfect example of an industry that continues to develop. Where formerly products made using the two-stage process were for mass production (E.g. in the soft drinks sector) and single-stage production was for annual volumes up to 10 million units, both production technologies now overlap each other more often. In principle, both technologies are similar, only the origination of the preform differs. The difference in the technologies is explained by the terminology. 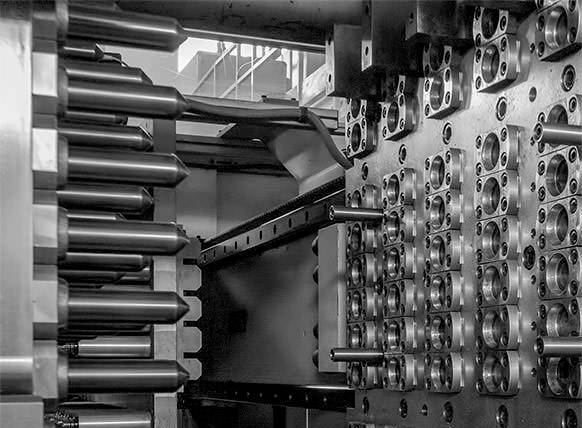 In single-stage, the injection stretch and blowmoulding process takes place within one machine whereas in the two-stage process, the preform production is done by one machine and the blow­moulding in another machine. 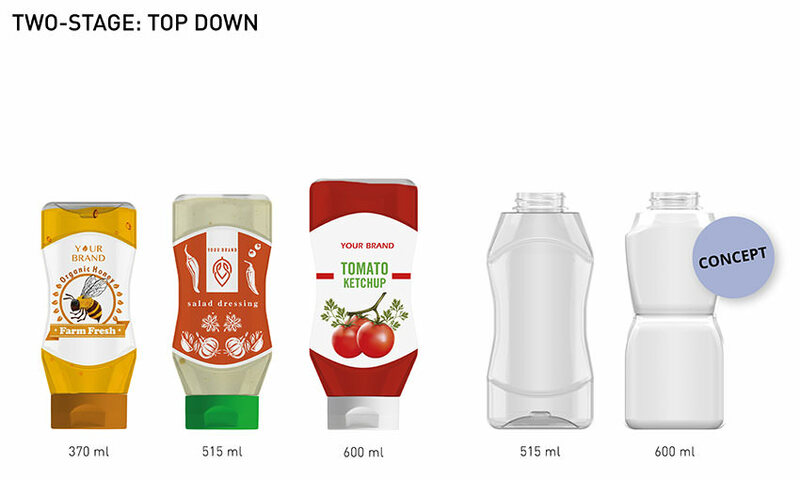 The scale benefits of preform production can give you a significant advantage in developing a new two-stage PET bottle or jar. By using mass produced preforms you only have to invest in a small blowmould to make your own bespoke model. 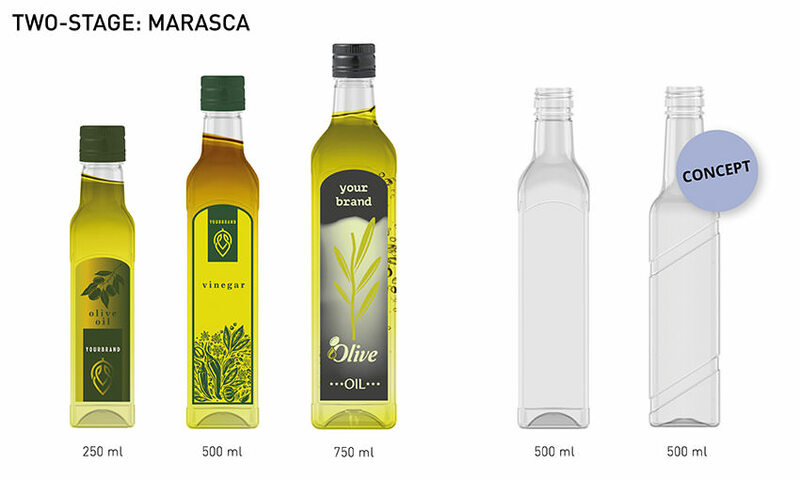 Our PET specialists are happy to advise which method offers the most benefit for your packaging needs. your own model with low investments! can two-stage be an option for me? 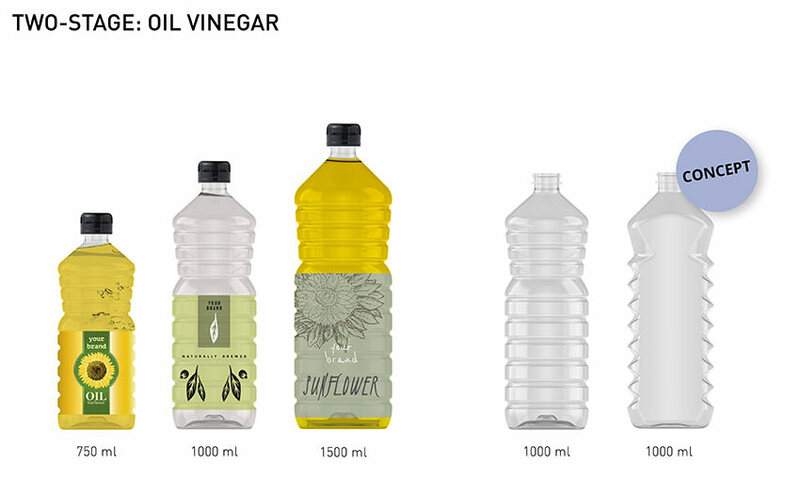 Below are some examples of standard Two-stage models, which are already part of the wide range of standard PET bottles and jars. On the right side of each family is a concept that can be developed in a simple and cost friendly fashion especially for you.. For more information, please contact info@petpower.eu. If you want your own bespoke model in a short period of time. If the preform already exists the lead time of a blow mould can be 6 weeks. If you have a limited start-up budget. Two-stage moulds can be much cheaper compared to single-stage PET moulds. If your order quantity is relatively small. The MOQ for two-stage bottles can be relatively low. Our specialists at PET Power are happy to help you in making the right choice for single- or two-stage PET bottles.